RESIDENTS will come together to remember a murdered schoolgirl whose killing shocked a community 10 years ago. Lauren Pilkington-Smith, 10, was brutally beaten to death just yards from her home in Twist Lane in July 2005. 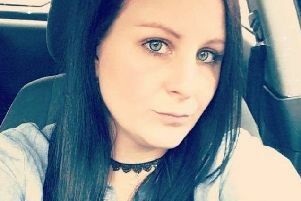 Her body was discovered in undergrowth off Sanderson Street with more than 70 injuries following a desperate late-night search. Killer Kieron Smith is behind bars for the crime, having been told he must serve a minimum of 15 years for bludgeoning her to death. A decade later people in Leigh will once again gather to remember Lauren next month, with the annual fishing match on the Leeds and Liverpool Canal in her memory set to draw at least 70 participants. Organisers recalled the sense of horror which filled the community at the time of Lauren’s death and the ongoing efforts to ensure her death, for which no explanation has ever been given, is remembered. Co-organiser Danny Martin, 29, said: “Lauren’s death was a sad and tragic event. In a small town it was something everyone felt at the time, and people really felt for the family. “It’s important for us to carry out the memorial for her every year and continue making it a big event. Leigh CE pupil Lauren disappeared after playing cricket with Smith and another friend in the backs of Pilling Street. She was discovered around 12 hours later by her grandfather Ken Pilkington with a horrific catalogue of injuries including the head wounds which proved fatal. Killer Smith carried her around five metres into a patch of dense undergrowth after killing her and tried to conceal the body using twigs and leaves. Smith was given a life sentence after being found guilty by a jury at Liverpool Crown Court. Experts admitted they could not work out a motive for why he killed Lauren. The tragic killing united the town in grief, with so many flowers, teddy bears and messages of sympathy left at a spot close to the Atherleigh Way junction that it quickly became known as Lauren’s Corner. The site is now a permanent memorial garden to her, with the facility including a bench and an engraved marble remembrance book unveiled on the first anniversary of her death. Her family, made up of mum Alison, dad Glen, brother Sam and sisters Rebecca and Ciara, have previously spoken of their gratitude to the Leigh people for their support and rallying round them in their time of need.